The French-American Foundation welcomed Roseann Lake, The Economist’s Cuba correspondent and author of Leftover in China: The Women Shaping the World’s Next Superpower (WW Norton), to its March Transatlantic Forum to share her expertise and views on Cuba’s political and economic environment as well as the relationship between the US and Cuba. Lake began by drawing parallels between China in 1979 and Cuba today, as Cuba has inaugurated a new president and ratified a new constitution and now faces challenges in the years to come. Lake described the similarities between Cuba and China using anecdotes from her own experiences and those she witnessed during her time in both countries. She described recent changes to Cuba, we well, such as the opening of Cuban access to Internet through public Wi-Fi terminals and later the advent of 3G on the island starting in December 2018. Cubans are more connected than ever- tweeting to each other and even to the Cuban government’s official twitter. 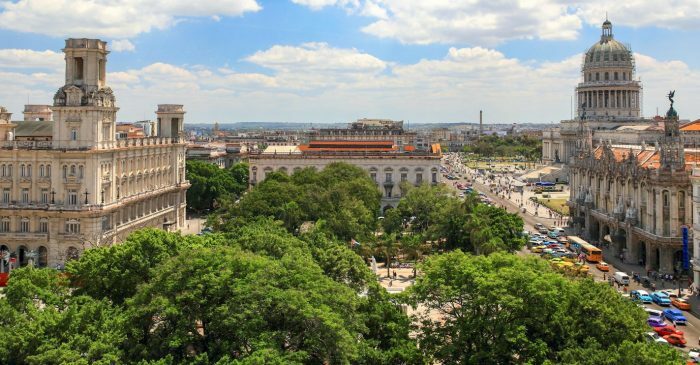 This development, combined with attempts to allow for more private enterprise, marks a new stage in Cuba’s history. The speaker also noted the changes in American policy that pose challenges to the Cuban-American relationship. She then opened the floor to questions on her experience in Cuba and the future of the Cuban economy. The French-American Foundation hosts monthly closed-door forums to discuss topical issues in transatlantic affairs. Click below for more information on our upcoming events.